One of the greatest tactical folding designs ever. 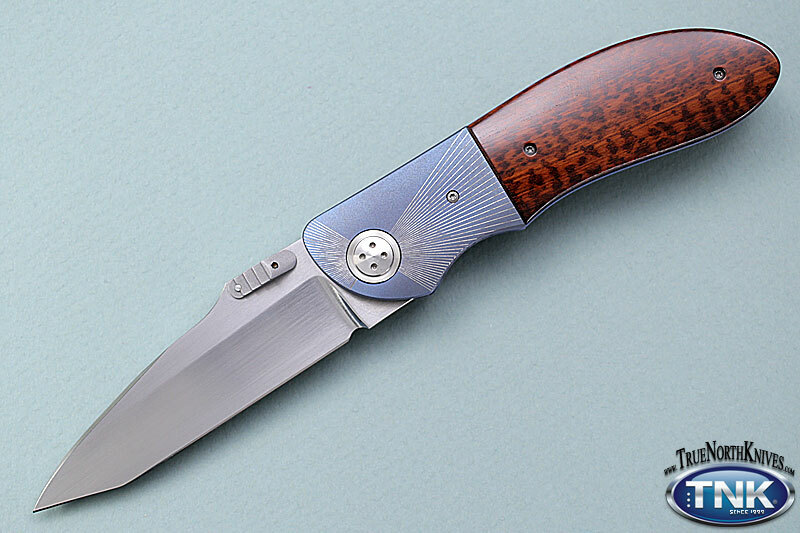 CPM 154 hand rubbed stainless blade with trademark Elishewitz GUILLOCHE machined bolsters. Snakewood (from Suriname) wood scales over stippled and anodized liners.